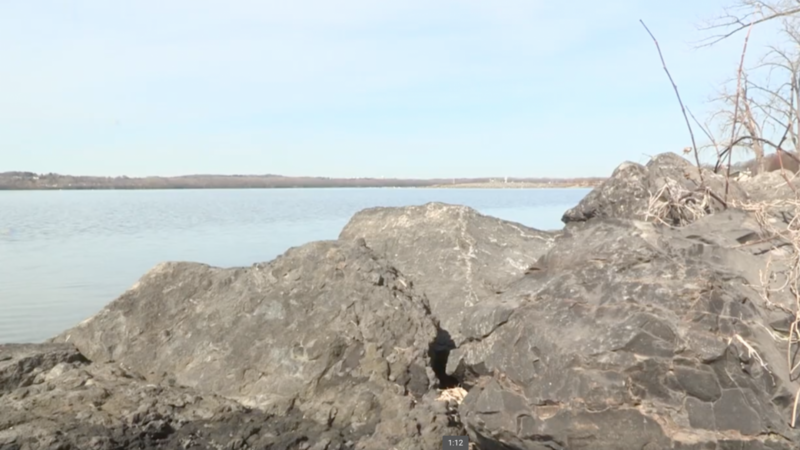 The sun shines bright on rocks lining the shore of Onondaga Lake Park on one of the first spring days of the year. Late in January, the county sent out a survey asking onondaga residents whether or not they’d swim in the lake. 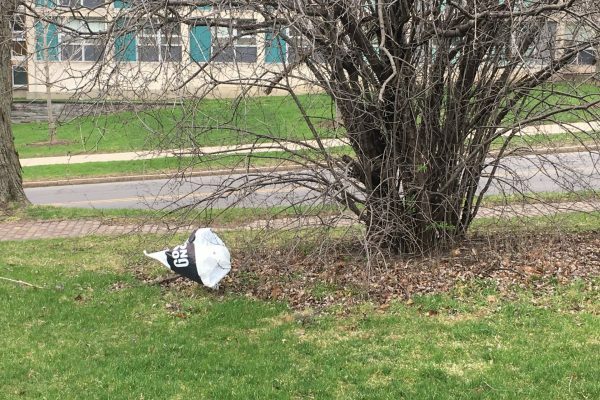 It’s a beautiful day in the first week of spring, and Onondaga County locals are taking advantage of the nice weather. Onondaga Lake Park is bristling with activity. Busy parents keep their children entertained at Wegman’s playground, adults jog in clusters around the lake trail, and a father son duo decide to capitalize on the sunny day and tan out on their boat. The park is built around Onondaga Lake. It’s a lake that’s undergone a transformative history. Once serving as a center for tourism, the lake drew in visitors from afar to swim at it’s shore. But, in 1940, this changed. Swimming at the lake was banned due to the cumulative effects of years of raw sewage and industrial waste getting dumped into the water. Greg Boyer, a professor of biochemistry at SUNY ESF, explains why swimming at the lake stopped. “The issue with swimming there would really have been E.coli. Getting sick from contaminated water that way, and from visibility… you simply couldn’t see your hand or your foot,” said Boyer. Conditions at the lake continued to deteriorate throughout the next few decades. By the 70’s industrial waste had led to an increase in mercury levels for fish populations. This led to the implementation of a fishing ban. Not long after came the federal Superfund designation. This marked Onondaga Lake as a hazardous site and provided federal funding to aid in efforts to remediate the pollution. With new funding, clean up efforts were amplified, and today the lake has made significant progress. “Now the water quality on the far end of the lake, by Onondaga Lake Park, is really, I would say, quite good,” said Greg. Now the county has launched a feasibility study to examine questions like whether or not the lake is healthy enough for a beach, if a beach at the lake would be desirable, and how much building a beach might cost. 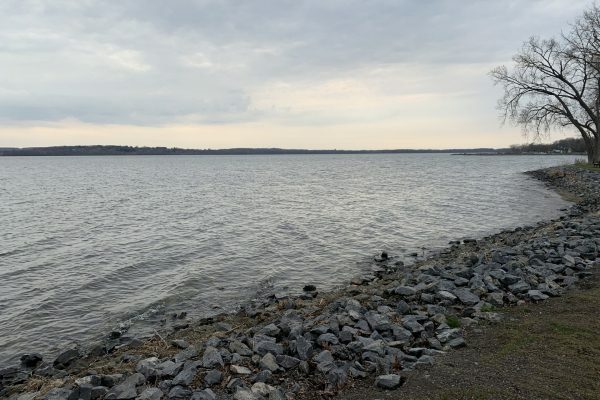 The county published a survey at the start of the study in late January asking residents to explain whether they would swim at Onondaga Lake. There were mixed results, but Travis said that a couple things were clear. The facts regarding the quality of Onondaga Lake’s water are not necessarily aligned with their [the public’s] beliefs,” Travis explained. Given the history of the lake, that perception might take some time to change. But in the meantime, the county will continue to work on it’s beach feasibility study. 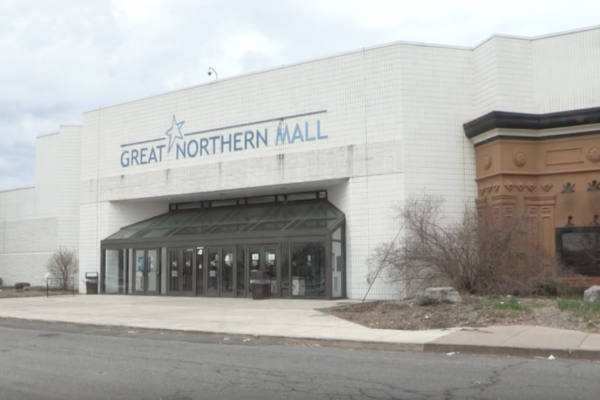 The study is set to conclude in the fall of this year at which point the results will be presented to county legislators. Legislators will then decide what happens next and whether or not we’ll see a beach at Onondaga Lake in the future.